Investing.com – The dollar rose to the day’s highs against a currency basket on Tuesday and pared back some losses against the safe haven yen as heightened trade tensions between the U.S. and China soured risk appetite. 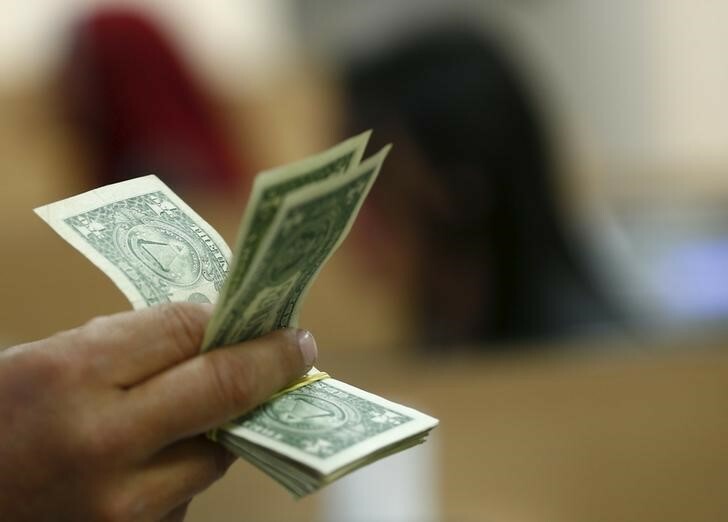 The U.S. dollar index, which measures the greenback’s strength against a basket of six major currencies, was up 0.48% to 94.86 by 08:03 AM ET (12:03 GMT), holding below Friday’s eleven-month high of 95.13. China warned Tuesday that it would retaliate swiftly after U.S. President Donald Trump threatened to impose a 10% tariff on $200 billion of Chinese imports. Uncertainty over the future of the North American Free Trade Agreement and concerns over tariffs that the Trump administration imposed on European trading partners also added to investor nerves. The dollar pared back some losses against the safe haven yen, with USD/JPY last at 109.87, off 0.62% for the day, after falling to a one week low of 109.55 earlier. The Japanese currency is often sought by investors in times of geopolitical tensions and market turmoil. The euro was trading at three-week lows against the stronger yen, with EUR/JPY down 1.34% to 127.12. The euro was also sharply lower against the dollar, with EUR/USD falling 0.72% to 1.1538. The euro remained under pressure after European Central Bank President Mario Draghi reiterated that monetary policy will remain persistent, prudent and patient on Tuesday after the bank’s dovish guidance on interest rates last week. The pound dropped to seven month lows the dollar as trade fears and fresh Brexit uncertainty weighed, with GBP/USD down 0.69% to 1.3153. Elsewhere, the Australian and Canadian dollars plumbed their lowest levels in a year, with AUD/USD down 0.98% to 0.7350, while USD/CAD climbed 0.57% to 1.3277.